Conservatives have been proven right! About handwriting, at least. A recent article in the New York Times suggests that teaching handwriting might be a good way to help students learn. why little Johnny puts two and three together and comes up with nine, why his penmanship shows little or no improvement, and why his reading is poor or backward. An angry Pasadena reader agreed. Back in the old days, one letter-writer explained, Pasadena’s schools had benefited from the work of teacher Albert P. Meub, “a penman of national note.” Meub had tried to keep the subject of penmanship in the schools, the letter-writer complained, but to no avail. The rush for progressivism in schools had led to the willy-nilly abandonment of traditional subjects such as penmanship. According to the research review in the New York Times, both Bart and the children of Pasadena would have done better if they had spent more time learning to write by hand. Some of the research compares writing by hand to writing by computer. But some psychologists have also studied the difference between learning to write in cursive or by writing block letters. 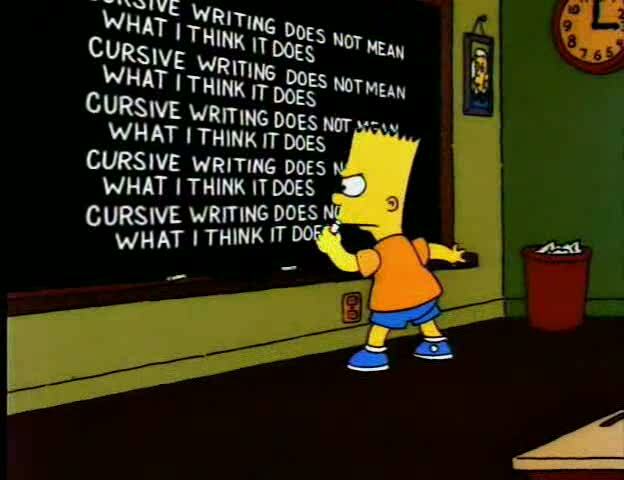 Some think that students will do better when they learn cursive. Karin James of Indiana University suggests that writing by hand helps students learn about the infinite complexity of letter variability. Every Times-New-Roman “A” may look the same, but not every hand-written one. Another study suggests that learning cursive may actually stimulate more brain activity and help fight language problems. The crusty conservative editor T.G. Wood of the Pasadena Independent might have argued from his perch in 1950 that such studies only belabor the obvious. Educational fads that abandon tradition out of a misguided trust in the superiority of the new and shiny will always lead young people astray. 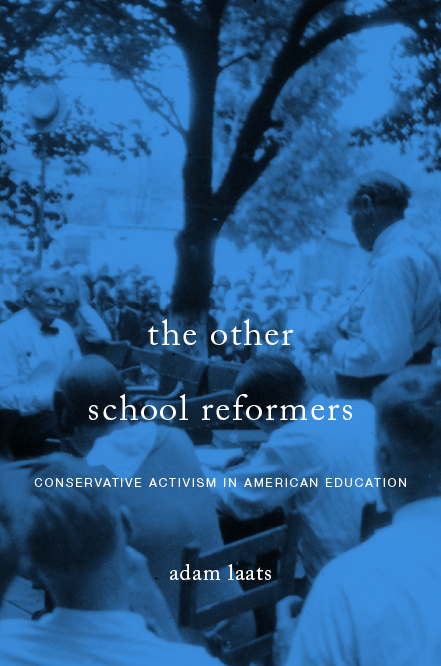 Traditional education, conservatives have long insisted, has lasted so long for an obvious reason: It works. Oh, come on! Who really writes the way the letters are taught? I know a few people whose style of penmanship looks like a cursive textbook, but most of us break out of that and create our own way of writing. I print nearly everything I write. It’s not because I don’t know cursive, but because I want my writing to be LEGIBLE. That’s what ought to be taught to the students: legibility. Penmanship is a waste of time.